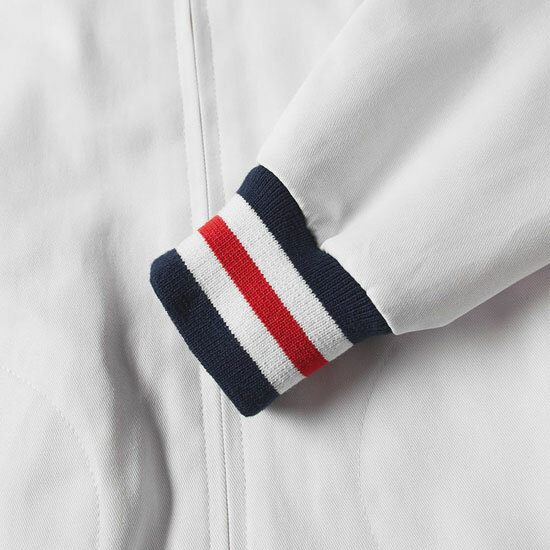 That mod classic, the Fred Perry Reissues Original Tennis Bomber Jacket is back in white for the summer months. 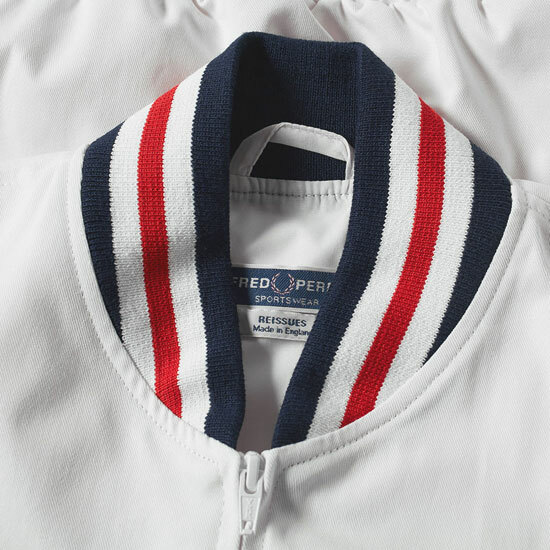 Yes, it changes pretty much twice-yearly when it comes to the colour and with the new spring/summer stock now on the shelves, the Fred Perry Reissues Original Tennis Bomber Jacket has returned in perhaps its most popular shade of original tennis white. Popular if you don’t have a habit of spilling things on yourself, obviously. It takes over from last year’s colours of sky blue and black, with a waxed version also landing in the latter part of 2018. 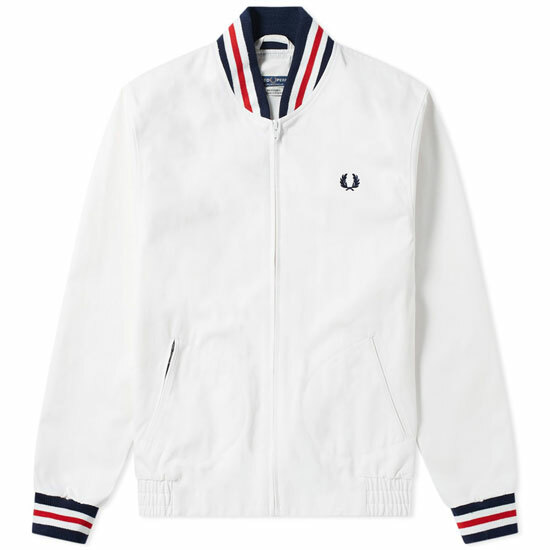 The design is as you would expect, which is a take on a 1950s classic that seems to be have been favoured by mods for decades. 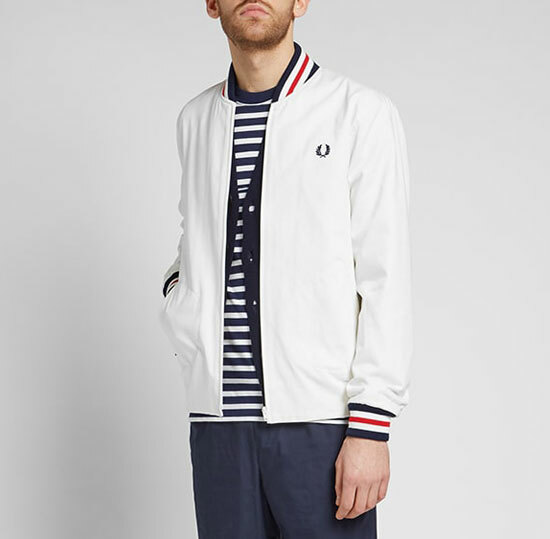 That’s a made in England jacket made of 100 per cent cotton (specifically a cotton twill) with zip front, embroidered Laurel Wreath logo, two side entry zip pockets, a concealed zip pocket, ribbed collar and cuffs plus an elasticated hem. Blue and red tipping, of course. 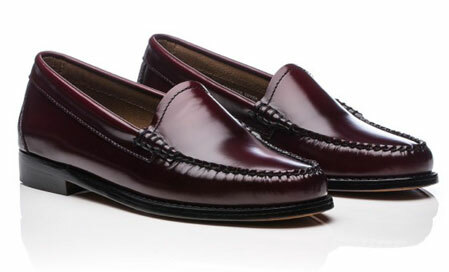 £199 is the price and there’s free shipping if you are tempted. 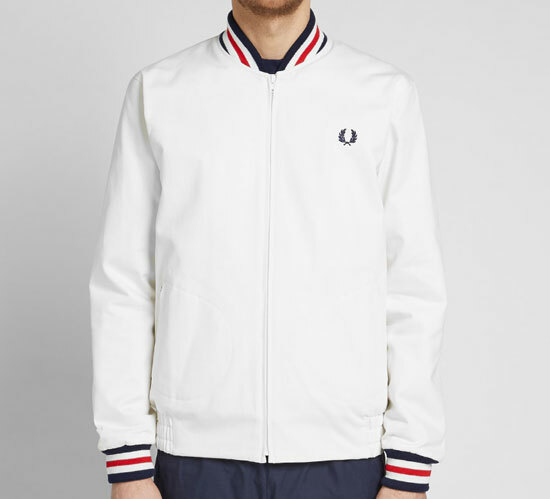 The way the Fred Perry polo’s have gone down hill in quality over the last couple of years, i wouldn’t hold out much hope of this jacket being worth anywhere near the price. 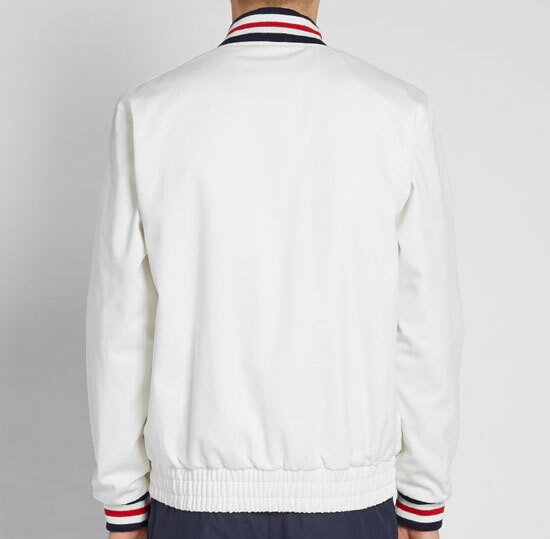 It doesn’t look any better than a 50 quid monkey jacket. Don’t worry. Buying one isn’t compulsory.